The woodland garden is located near Kingston, Washington on the north Kitsap Peninsula. Contact us today to arrange a tour! 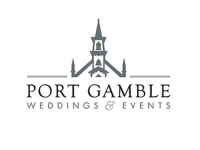 We invite you to experience a truly elegant wedding in Port Gamble. Celebrate your ever after at one of our two venues on the shores of Hood Canal, St. Paul's Church and the Hood Canal Vista Pavilion. Capacity up to 300 guests. make sure your special day is festive! 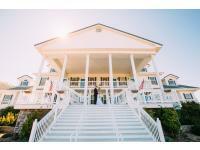 The Pavilion at Fair Harbor with its waterfront setting is perfect for weddings and receptions. We can accommodate up to 250 guests, with outdoor BBQ facilities, tables, chairs & tents staged on the green overlooking the marina. Organic farm for your wedding weekend, May through August! Celebrate your wedding for up to 175 on private acres filled with gardens, sheltered by towering firs, a hidden cedar grove, and an orchard. 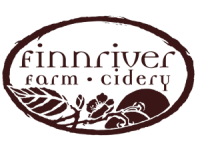 Weddings at Finnriver are coordinated by Tanya, and with her assistance couples then contract with Finnriver as their venue. Ceremonies may be held outdoors at our rustic ‘Orchard Arbor’ and receptions in an event tent adjacent to the historic Farmhouse. Hunters' Gate Farm is a destination estate where wonderful memories are made and experiences had. Our spectacular 40+ acres of forested,waterfront farmland is the perfect place for gathering with family and friends, while enjoying stunning water and mountain views. 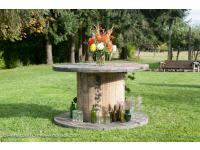 place for ceremonies and receptions! The Baton Rouge venue features space for 50 to 60 people. 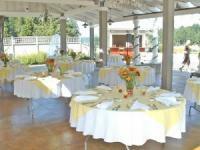 Includes indoor/outdoor ceremonies and receptions. Features the use of the honeymoon suite attached. Please call or email for questions to reserve today. lavender farm in north Kitsap County. 120 W. Chance A La Mer Ave.
waterfront overlooking Pt Townsend Bay. 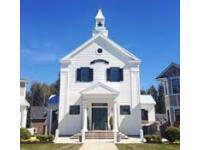 Seabrook's Town Hall building is one of the town's largest and most impressive civic buildings. It is fast becoming one of the Pacific NW's most memorable event venues and treasured places.